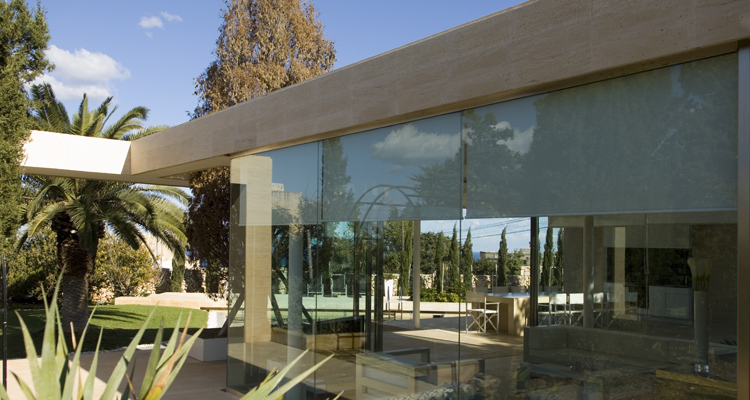 Conceived as a stone monolith rising out of the surrounding terrain, this summer pavilion provides pool-side facilities that have been re-organized to encourage their use on a more regular basis by the family and to enhance their role when the gardens are geared for entertaining. 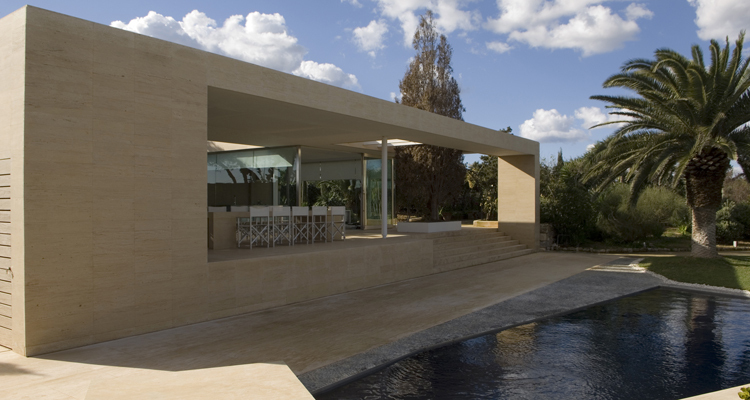 The structure is raised slightly above the pool with a north facing dining and barbeque space that opens up to the Maltese landscape below and the Mediterranean beyond. 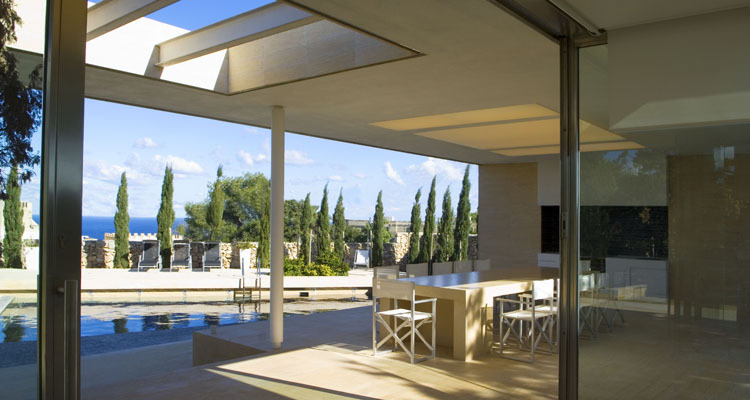 It responds to its hill-top, private garden setting and is designed around the outdoor requirements of the owners of this traditional rural Maltese property in the North of the island. 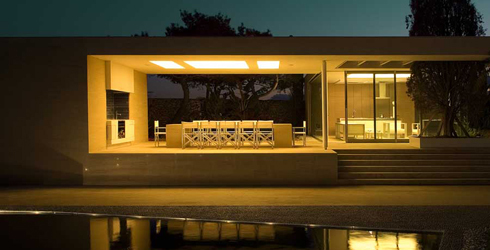 The pavilion itself sits on a raised deck, on the curve of the path leading from the house. 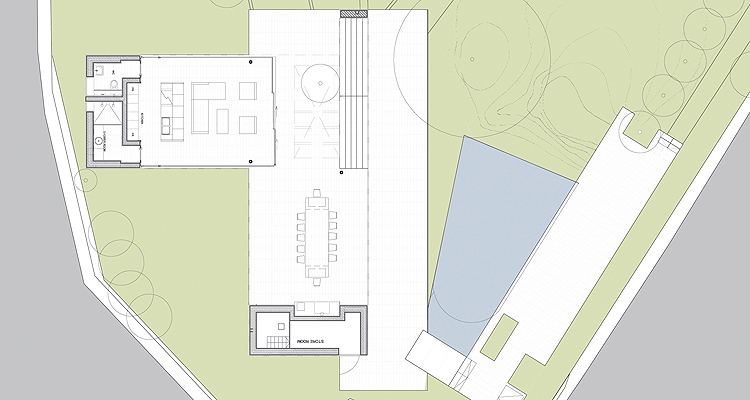 Designed primarily as a covered external space for summer living, the main volume of the building is aligned with the pool and the original garden terraces, but oriented towards the views beyond. A finger of roof extends perpendicular to this covered outdoor dining space into the lush greenery of the surrounding garden. 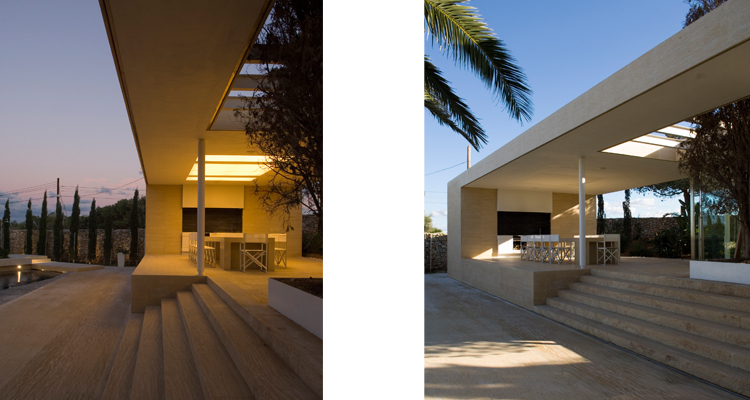 The extension becomes an enclosed space whose retractable glazed screens protect the living/kitchen from the occasional strong winds. 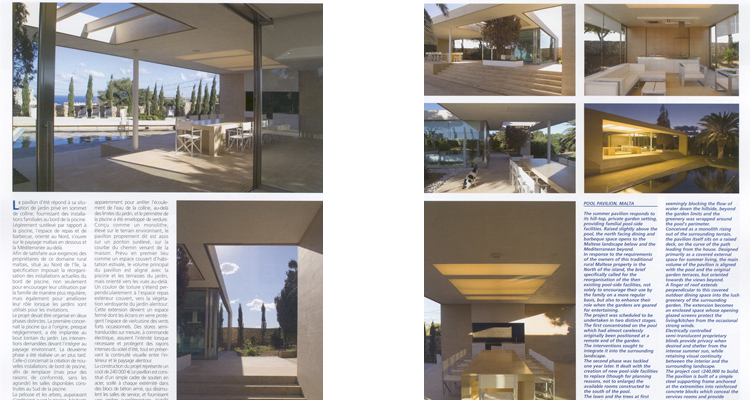 Electrically controlled semi-translucent proprietary blinds provide privacy when desired and shelter from the intense summer sun, while retaining visual continuity between the interior and the surrounding landscape. Clad entirely in hardstone slabs, identical to those used for the floors, the detailing deliberately eliminates any hint of fixing cramps and ties throughout. 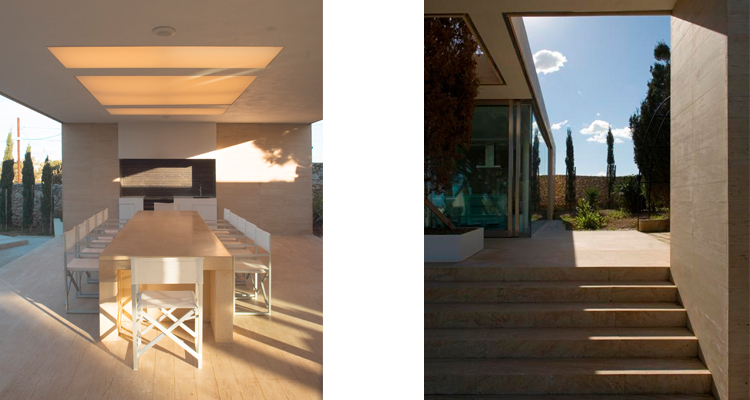 This consideration creates minimal visual clutter and provides a neutral and discrete backdrop to the garden, allowing its greenery, the views and the refreshing summer breezes to become the protagonists of the space, participating fully in the ceremony of the day and the spectacle of the setting.